Creating objects at the nanoscale is not the easiest thing to do. Thankfully, a lot of researchers are already trying to make new progress on it. Today, let’s talk about a collaboration between the Massachusetts Institute of Technology (MIT) and the Wyss Institute for Biologically Inspired Engineering at Harvard. 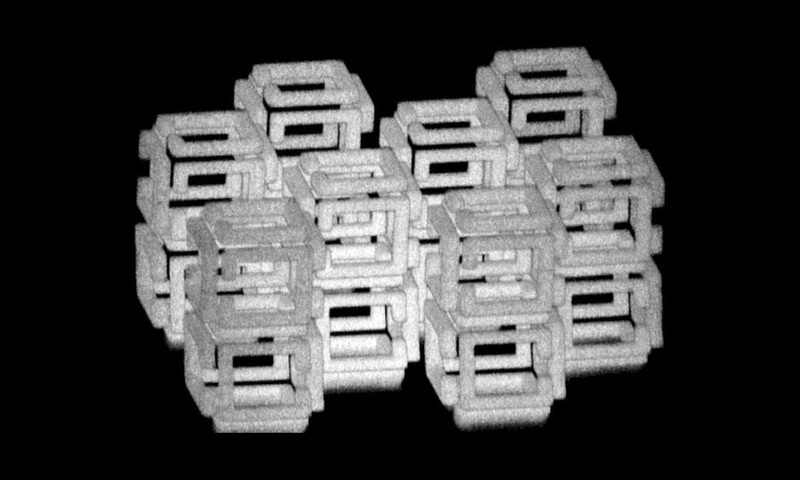 They produced a new 3D printing technique, and more precisely, a technique to print really small objects. What is this new with this 3D printing technique called Implosion Fabrication, or ImpFab? Why is it so amazing? Nano-fabrication is quite a challenge, but additive manufacturing could be the solution. The team of researchers developed Implosion Fabrication, using some aspects of 3D bioprinting. They are using a sacrificial hydrogel, 3D printed as a scaffold. This scaffold can have the shape you want. This hydrogel is the basis of the whole project. Once the hydrogel shape is created, it is then seeded with the particles of the material needed, semiconductors and biomolecules. Here is the interesting part of this experiment: the hydrogel is then dehydrated, or imploded, as announced in the name of the process! This is actually shrinking the printed object to ten times its original size! It is quite interesting, and could totally be a way to 3D print small conductive 3D objects, or small metal parts. They actually say that the resolution of the objects produced with this Implosion Fabrication technique is about tens of nanometers, which is extremely small, and close to 1000x smaller than most typical 3D printers’ resolution! This new technique is a real step forward. 3D printing at a small scale: Is it a first try? Actually, this experiment is not the first one. Nano 3D printing is really an interesting topic for researchers. On our 3D printing blog, for example, we already talked about Electron Beam on ice. Electron Beam Lithography (or e-beam lithography, or EBL) is a process combining mold making with 3D printing. It consists in scanning a focused beam of electrons to draw custom shapes on a surface covered by an electron-sensitive film. If you want to get 3D printing tips and updates about 3D printing news, don’t forget to subscribe to our newsletter. And if you have any questions about additive manufacturing, feel free to contact the sales team of our online 3D printing service, they will help you with all your projects!